The buyer’s premium for this auction is 22% in-house (phone, absentee, live salesroom) and 25% on Bidsquare and Proxibid. Purchasers of firearms must strictly comply with all state and federal regulations governing their purchase, registration, and transportation. Firearms requiring registration are designated in our catalogue as R (requires registration/FFL) or C&R (Curio & Relic). Bidders of firearms requiring registration (R or C&R) will be required to provide their Federal Firearms License or be a licensed Collector of Curio & Relics. If a purchaser does not possess a federal license, he/she must comply with additional registration as required by their resident state. The purchaser is solely responsible for fees associated with the additional registration requirements charged by Pook & Pook, Inc. or purchaser’s transfer agent. If the purchaser is not in possession of a federal license and is not a resident of Pennsylvania, he/she must make arrangements with a transfer agent in their resident state. If you are restricted from purchasing a firearm, please do not attempt to bid on any firearm. 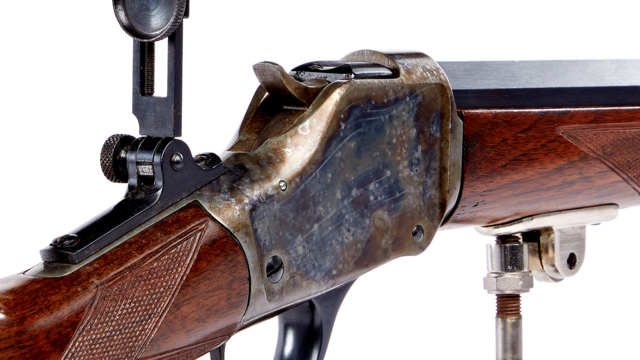 We do not guarantee the working condition of any firearm. Pook & Pook, Inc. will not be liable for accident or injury resulting in purchase of firearm. Purchasers should have all firearms they purchase examined by a certified gunsmith prior to use.